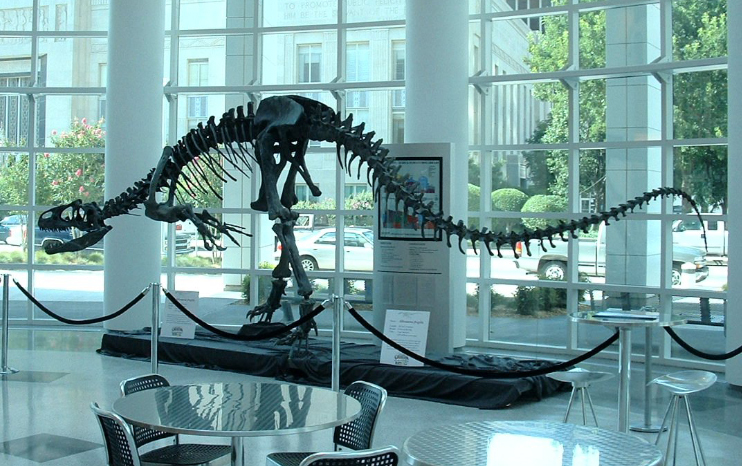 Allosaurus fossil skeleton; photo by Corwin I on Flickr (noncommercial use permitted with attribution / share alike). Living 145 to 150 million years ago in Utah, Wyoming, Montana, Colorado, New Mexico, South Dakota, and Oklahoma, allosaurus was the most common large carnivore of the Late Jurassic period in North America (a predecessor of the larger Tyrannosaurus of the Cretaceous). Weighing 1.5 - 2 tons as an adult and measuring 30 - 40 feet long, allosaurus possibly hunted in packs to bring down large prey. 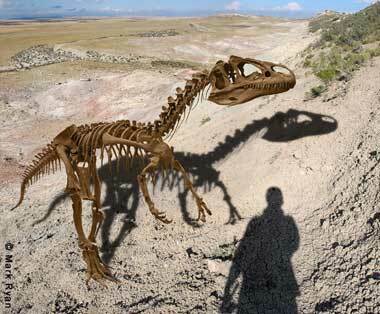 Many Allosaurus fossils have been found in the Rocky Mountain west. 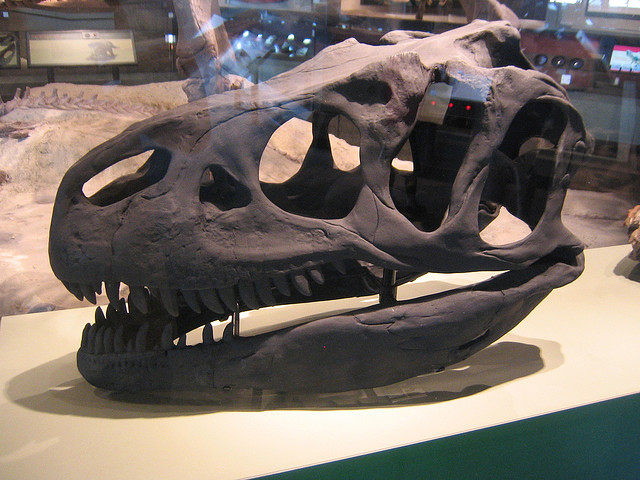 Allosaurus skull; photo by Brian Smith on Flickr (noncommercial use permitted with attribution / share alike). "Big Al" Allosaurus fossil from the University of Wyoming Geological Museum- photo © Mark Ryan on Flickr - noncommercial use permitted with attribution / no derivative works.